IRON MOUNTAIN — Geralyn M. “Geri” Patterson, 63, of Iron Mountain, passed away Monday, Sept. 10, 2018, at her home, surrounded by her family, following a courageous battle with cancer. She was born March 23, 1955, in Wyandotte, daughter of Raymond and RoseAnn (Mauren) DeSana. Geri grew up in Wyandotte and was a graduate of Wyandotte High School, Class of 1973. After high school she received her LPN degree from Northern Michigan University, and then her RN degree from Bay de Noc Community College in Escanaba. Geri began her career at the Oscar G. Johnson VA Medical Center. She then worked for a brief time at Dickinson County Healthcare System and Northpointe Behavioral Healthcare Systems, before returning to the VA Medical Center where she retired in 2015. She was united in marriage to Michael Patterson on Sept. 1, 1990, in Iron Mountain. They most recently celebrated their 28th wedding anniversary. 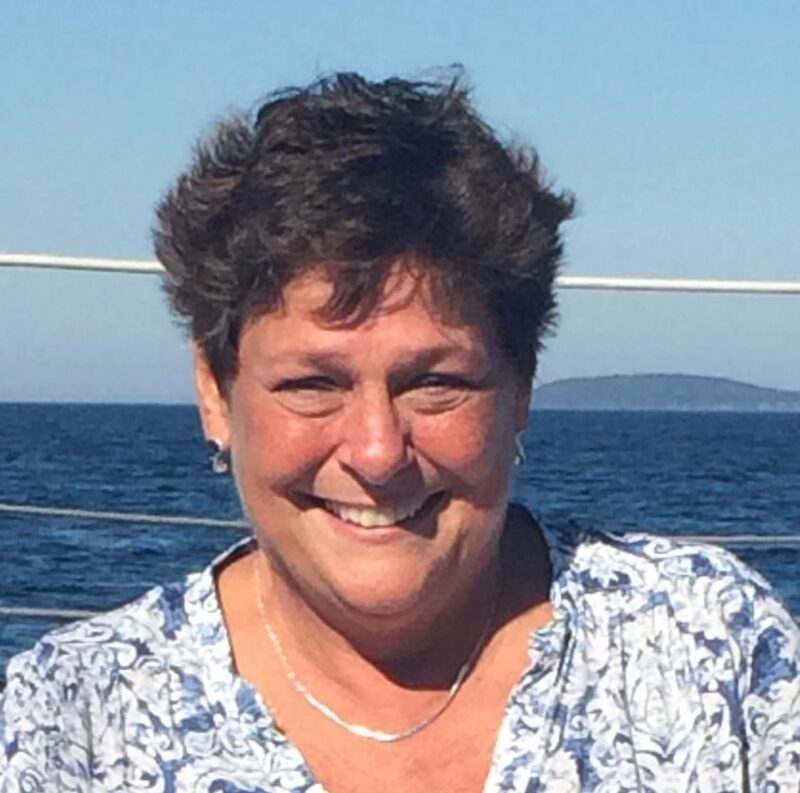 Geri enjoyed being on the water, boating, golfing, knitting, planning high-adventure trips with other couples and especially the time she spent with her children and grandchildren. She will be forever remembered for her beautiful smile and positive attitude. Geri is survived by her loving husband, Michael; one son, Ryan (Jennifer) Gordon, Iron Mountain; one daughter, Michelle (Brian) Polzien, Iron Mountain; four grandchildren, Larkin, Wynn, Brayden and Cora Rose; her parents, Raymond and RoseAnn DeSana, Wyandotte; two brothers, Robert (Denise) DeSana and Thomas (Norma) DeSana, both of Wyandotte; one sister, Theresa (Johnny) Wallen, Wyandotte; and nieces and nephews. Visitation will be 9 a.m. to noon Friday, Sept. 14 at Our Saviour’s Lutheran Church, Iron Mountain. Funeral services will follow at noon at the church. Rev. Paul Strom will officiate. Burial will be in Cemetery Park, Iron Mountain. A memorial will be established in Geri’s memory. You may light a candle in remembrance of Geri or leave a condolence for her family online at www.JacobsFuneralHomes.com. The family has chosen the Jacobs Funeral Home, Iron Mountain, to honor Geri’s legacy of life.